Ole Gunnar Solskjaer’s long-term future at Manchester United may remain uncertain, but that hasn’t stopped him from making plans. 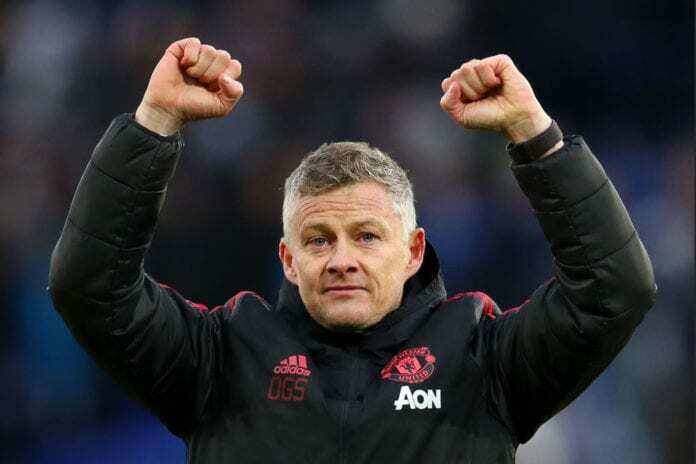 Since replacing Jose Mourinho on an interim basis in December, Solskjaer has enjoyed a stunning start to life as a coach at United with nine wins and a draw in 10 games. And Solskjaer’s impact has enabled the likes of Paul Pogba and Marcus Rashford to return to their very best after previously struggling under Mourinho. Despite that, however, question marks have still persisted over the Norwegian’s credentials to take on the post at Old Trafford after the end of the season. The likes of former United star Paul Ince believes that Tottenham boss Mauricio Pochettino is the right man for the permanent manager’s job. But Solskjaer is certain he’s making his mark at United as he looks to secure the permanent vacancy with the Red Devils. “Well, every day I feel that I do help the club, do put a little bit of my stamp on it,” said Solskjaer, via FourFourTwo. “But decisions, sometimes of players’ futures, are not [just] down to me, either. It’s the players; do they want to stay? Do they want to move on? Do they want something else? “But we have a vision and a picture of how we want to look in a few years and, of course, we have to think long term and also short term. “And I’ve got a picture of what this Man United team should look like in a couple of years, I don’t know if it [the future] is with me, but I put my views to Ed [Woodward] and the club. “I’ve supported Man United and I’ve followed Man United for many, many years since I’ve gone back home. Serbian midfielder Nemanja Matic recently claimed that United could be on course to win the Premier League next season if they continue their current rate of progress. Another star who believes this could happen is Jesse Lingard, who praised the Solskjaer’s work at United on Thursday. “I hope so,” Solskjaer said on Matic’s prediction. “That they believe they can do that – you cannot outperform your ego, that’s one of those mantles, you have to trust and believe yourself if you want to be a champion and win. “It’s how you prepare for every single game, how we demand that we focus on every single day in training for every single game. United will take a trip to Craven Cottage to face Fulham in a Premier League match on Saturday.